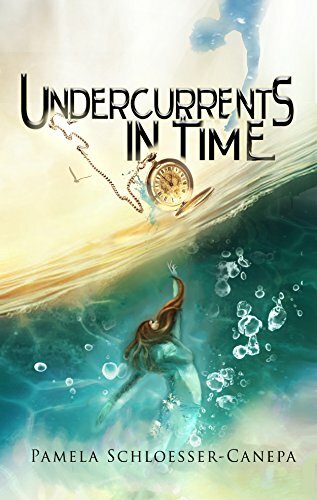 Undercurrents in Time follows Tabitha as she sets off on her own adventures to try and understand what will happen to her family in the future. What were some themes that you felt were important and wanted to explore in this novel? I felt the theme of balancing family and personal identity were very important, as this is something that happens to may women. Hence, the focus and tone does become a little different in Undercurrents in Time. There is also a theme of love/romance, as one’s expectations of love sometimes experience drastic changes as life goes on. However, there is still some fun in this book. Tabitha is a little rebellious as she tries to deal with her perceived loss of personal identity. She is a stubborn, strong-willed woman just as she was in Detours in Time. Tabitha is an interesting character that I enjoyed exploring. What served as your inspiration while you were creating her character? They say to write what you know. Well, I sure don’t always do that, however, I have spent a lifetime of holding in my opinions and second guessing the things I have said. Maybe that is what turned me into a writer. I revisit and reinvent my responses to scenarios from my life. I made Tabitha a strong-willed, outspoken woman, as that is what I have been taught not to be all my life, yet, I have always been stubborn. I think she deals with it in a healthier way. She is also never a peace maker just for the sake of being a peace maker. Her experiences in this book go back to some of my experiences with marriage and motherhood. I imagined some of the things I really longed to do when I was at that point in my life. However, I wanted to make her heroic. So, she was based on a mix of myself, the person I wish I was, and the personality of Jodie Foster’s character in Contact. (If I had to choose an existing character). What were some ideas you wanted to carry over from Detours in Time and what were some new ideas you wanted to expand on in this book? I wanted to revisit the character of Sal and expand a little bit on the character of Louise as well as giving some story to their family. In between, we have Calais. I also wanted Sal to have more backstory in this timeline while giving more backstory to Tabitha’s brother, Jared, whose life is drastically different in this timeline. Ideas I carried over were the differences between Milt and Tabitha’s personalities, and how Milt really does not try to change her. Another was the suffering we do for our family members, learning to love them while stepping back a little and balancing our concern for them with concern for ourselves. Another thing I wanted to expand on the reality of love, how the illusion of new love is never the same as what you have a few years later. Yet, there is hope. I am trying not to give away key plot points here…. Are you a fan of the science fiction genre? What are some of your favorite time travel movies or books? I certainly am a fan of the science fiction genre! When I was younger, I’d read my mom’s Stephen King books and just loved how they warped my understanding of reality. I loved Planet of the Apes, Back to the Future, Dr. Who, and many futuristic dystopian books and movies. I loved reading Kings 11-22-63 and the Outlander series, though I am hard-pressed to read her recent 1,000 pages tomes. I also loved The Time Traveler’s Wife, which was a mix of time travel and romance. To be honest, I haven’t read that many time travel books, it is more the time travel shows that have impressed on me, that and historical fiction or dystopian fiction. I love to ponder how things would be different if we tweaked just one little facet of our lives. Malachi (from Undercurrents) is speaking to me. It’s funny, I also started a story last fall about Norrie from the Made for Me series, but I think Malachi will be next. However, that could change. Can you tell I don’t write full-time? Sometimes I write to shave off remnants of a bad day, or I catch a mood. I get inspired at times by the oddest things. I am sure this is why the tone in my novels is not always the same. At any rate, I write a lot in Nov. and Dec. when there is less daylight, then I send to beta-readers, ruminate on it, revise, etc. Summer is usually when I like to publish a book because I teach, and summer allows me time to devote to releasing a book. However, I have short story ideas that I may release in the fall or spring. Following my newsletter is a great way to get notice of my stories or new releases, as I sometimes send free short stories to those on my newsletter list. I have ideas for other characters from Undercurrents in Time as well as new ideas that may not get the attention they need until I retire. Please don’t ask when that is. I have got to play the lottery more often…For sure, I will have plenty to keep me busy! Time travel took Tabitha and Milt to places they could never have imagined…. Now it seems the very things that cemented their bond will also drive a wedge between them emotionally. Travel to the future, discovery of a long-lost, troubled family member, and an unplanned baby all have taken a toll. Tabitha struggles to accept her new identity as a mother while remaining a strong, independent woman. She longs for a getaway, even a short one, but that getaway puts her on a collision course with danger. Milt is busy trying to prevent a horrible future disaster at the hands of an enemy he has not yet met. While concerned, Milt doesn’t even suspect Tabitha’s plans, the very plans that will have her facing Milt’s nemesis. Tabitha risks it all on a brief escape. How will she handle the unforeseen dangers she faces and make her way back home? How far will Tabitha and Milt go to prevent tragedy? 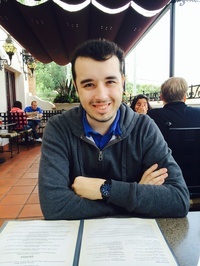 Alistair’s debut novel, The Crimson Corset, was an immediate bestseller, earning praise from such authors as Jay Bonansinga, author of The Walking Dead series, and vampire-lit veteran, Chelsea Quinn Yarbro. 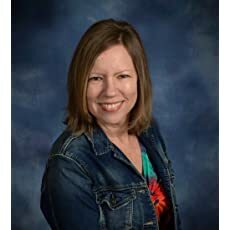 Alistair also writes with international bestseller, Tamara Thorne, and together they have released several bestsellers, including Mother, The Cliffhouse Haunting, and The Ghosts of Ravencrest. 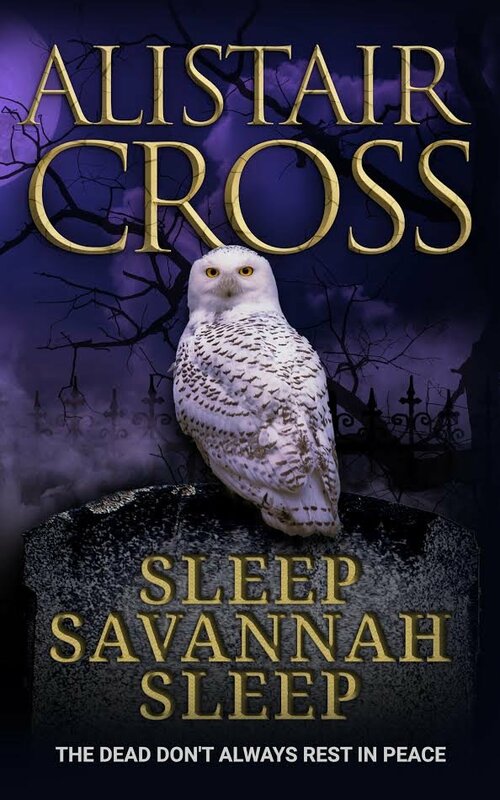 Together, Thorne & Cross also host the popular radio show, Thorne & Cross: Haunted Nights LIVE!, which has included such guests as Laurell K. Hamilton of the Anita Blake Vampire Hunter novels; world-wide bestseller, V.C. Andrews (Andrew Neiderman); Charlaine Harris of the Southern Vampire Mysteries and basis of the HBO series, True Blood; Jeff Lindsay, author of the Dexter novels that inspired the hit television series; #1 New York Times bestseller, Kim Harrison; Peter Atkins, screenwriter of Hellraiser: 2, 3, and 4; Mick Garris, film director of Hocus Pocus, Psycho IV: The Beginning, and Stephen King’s The Stand; and New York Times bestsellers Preston & Child, Christopher Rice, Jonathan Maberry, and Christopher Moore. There is madness in the world that few can ever understand. What drives a person to get out of bed in the morning or take a life in the evening is different for every person. Steven Pajak carefully crafts a story for us that involve mindless torture; endless agony and that special breed of mental instability psychological thrillers enjoy so much. 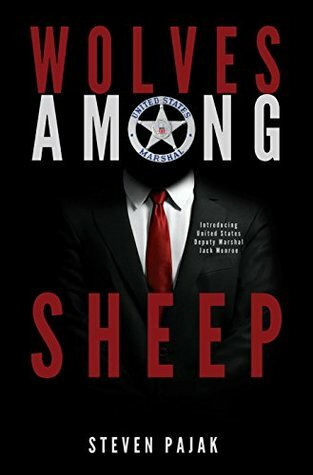 While Wolves Among Sheep is meant to be a book introducing Jack Monroe, a United States Deputy Marshal, it really focuses on the relationship between Jack’s brother Michael and unstable, disgruntled former employee Robert Elliott Lang. As readers we are roped into a fascinating situation where a single man seeks to completely destroy the life of another for reasons only he could possibly understand. With heart in throat and eyes glued to the page readers will want to desperately know the why and crumble when it’s finally revealed. Pajak knows his craft well and is very good at describing the slow, torturous break down between Robert and Michael. Michael has the things that Robert wants and is seen to be the one who has denied our antagonist all that could have been his. Robert desperately needs help and the signs pointing to his devolution have been visible for a long time. Perhaps it’s because he’s just another name in the email directory or because he’s that difficult, creepy guy that no one really wants to befriend but the fact remains that Robert does not get the help he needs. Instead, he gets a target: a person whose life he can work towards crumbling as carefully as possible. We know quite early on in the tale that Robert is a man who is not below putting dead rats in cars and forwarding incriminating emails in order to destroy a relationship. We know all of this but the hypnotic destruction pulls the attention and causes us to question what we read. If there were to be any areas where Pajak could improve it would be simple editing. There are a few spelling mistakes and words that are potentially mistyped. This is not Pajak’s first time at the rodeo so he knows how to write a good story. That is what makes the minute, yet noticeable, editorial issues stand out even more. Unless you’re extremely particular about these sorts of things they will not ruin the story for you, but they will be obvious. Wolves Among Sheep takes its readers on a dangerously slippery trail. There are aspects of Robert’s behavior that seem almost normal; those small little tics that are easily over looked. While Jack is instrumental in hunting down Robert after he has successfully destroyed any semblance of a ‘normal’ life for Michael, the story truly revolves around our protagonist and antagonist. The tale would not be the same if Jack were not in it, however, so it is important to note that his existence is necessary to reach the conclusion Pajak came to. Readers who enjoy a good psychological thriller along the lines of Dean Koontz and Stephen King will not be disappointed with the creepy tale Steven Pajak offers for consumption. 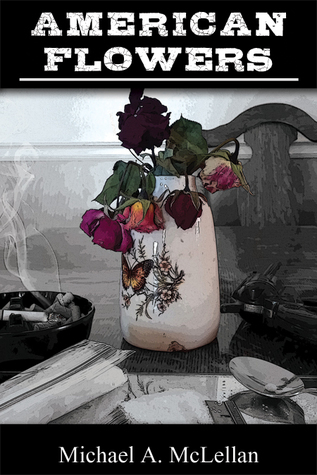 This novel follows Chris, a drug addicted young man who is trying to find his way. After meeting Allie, a young lady who has her own set of problems, and getting her started on the needle herself, things go south quickly. He quickly finds himself on the wanted list of the police, his supplier, and Allie’s relatives. The plot quickens and keeps the reader entertained as Chris struggles to come to terms with his past and find a way out of the mess he has created. The novel has a dedication to Stephen King at the beginning, which influenced my reading of the rest of the text. The descriptions of the characters and the gritty diction is King-esque. 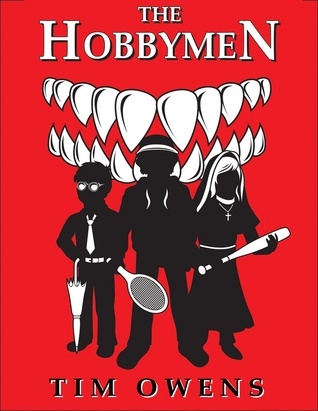 The author creates a believable world with characters that act just like one might expect when under the influence. While the world and characters are believable and relatable, they do fall flat in a couple of areas. First, Allie and her naiveté lead to some questionable choices on her part. 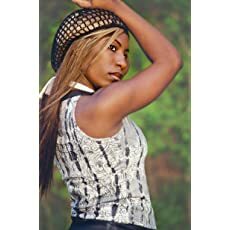 As an example, she chooses to trust and follow Chris on his downward spiral even though she had known him for less than a week and had never done anything more than marijuana before the events of the novel. 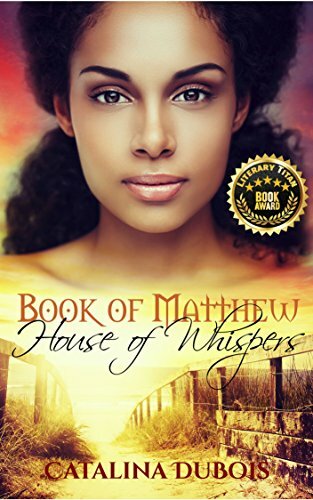 The author provides her background, which some would indicate as an influence on her choices, but it is still too much self-destruction for this reader to find believable. Second, the plot is just a little too predictable, and a little too gritty for my taste. 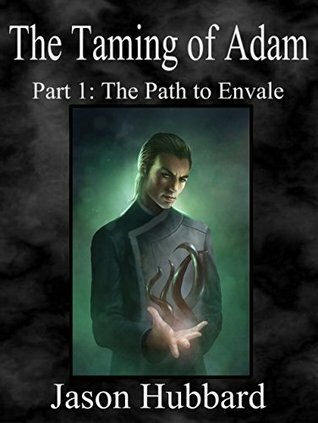 Chris’ choices are too simplistic in the first third of the book, leaving the reader to easily decipher how those choices are going to play a role later in the story. This is especially true of Jesse James, a character who only appears for a couple of pages before the plot moves itself forward. The middle of the book gets violent and shows just how far Chris had fallen since the events of his past had derailed his life. This reader won’t post any spoilers, but Chris’ choices are extreme and the text is not for the faint of heart. The final third, though, is fantastic. To see how the author deals with his characters and their pasts is just beautiful. I won’t say anything more, no spoilers! Overall, the novel is more than entertaining. Once the reader sees the mess that Chris created for himself and starts to see how his past is affecting his current situation, it makes for a thrilling, heart-wrenching read. Watching Chris and Allie try to battle their pasts while dealing with an ever more dangerous present causes the pages to turn faster and faster through all of the poor choices and self destruction to the conclusion. Personally, it was heartbreaking to watch Chris and Allie cling to each other as they attempted to find a way out of all of the wrong choices they had both made. Any reader who gives this story the time will not be disappointed.